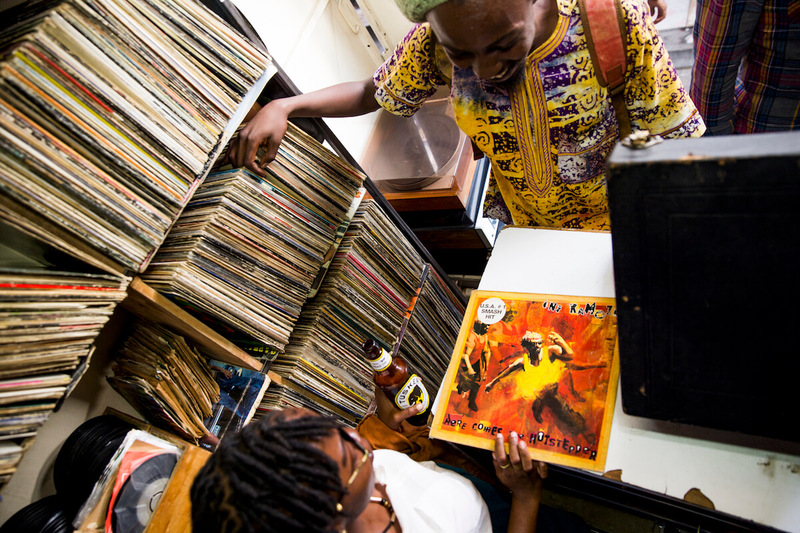 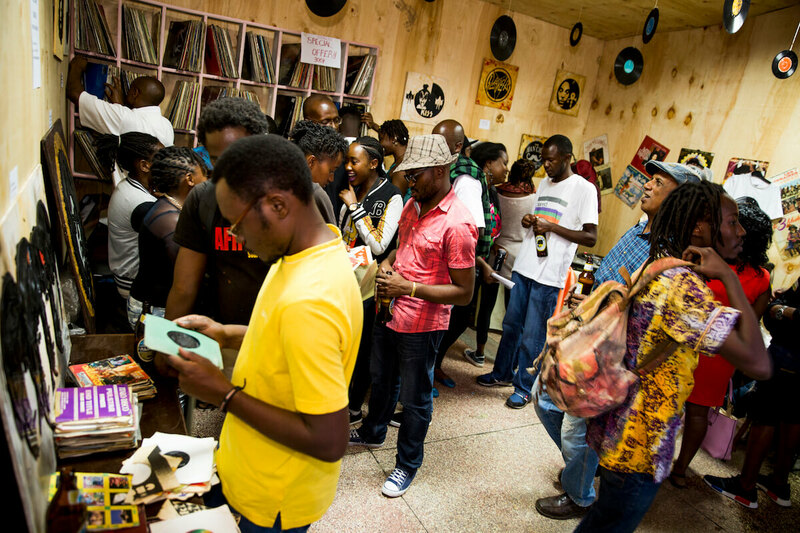 We return to Stall 570 for East Africa’s first ever Record Store Day celebration. 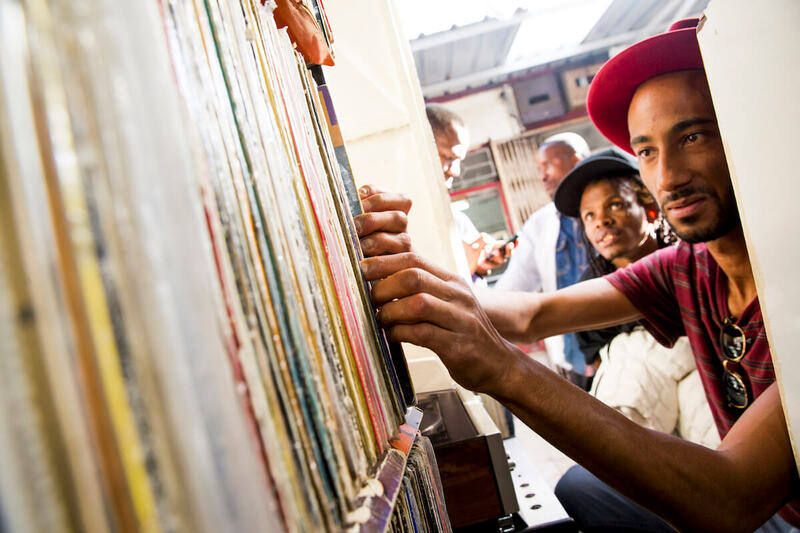 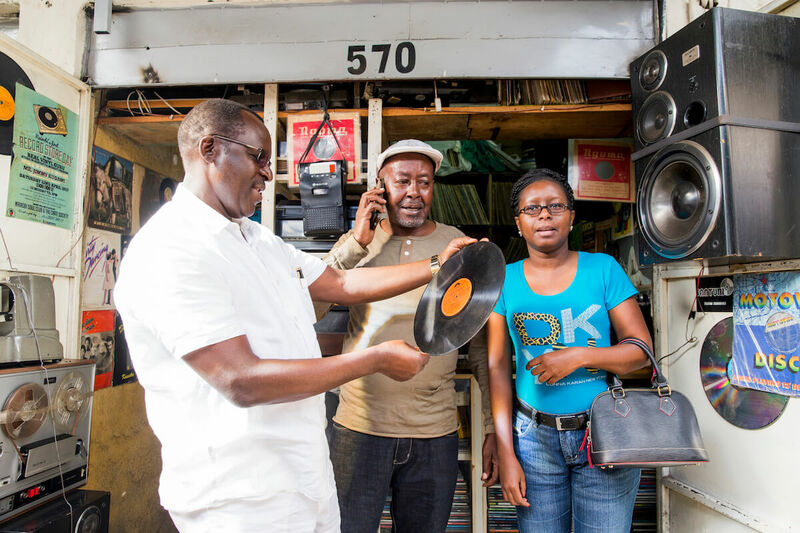 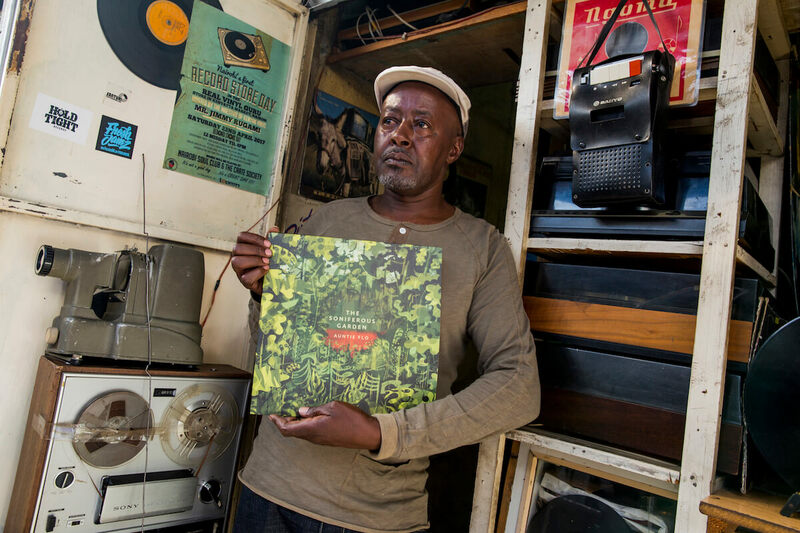 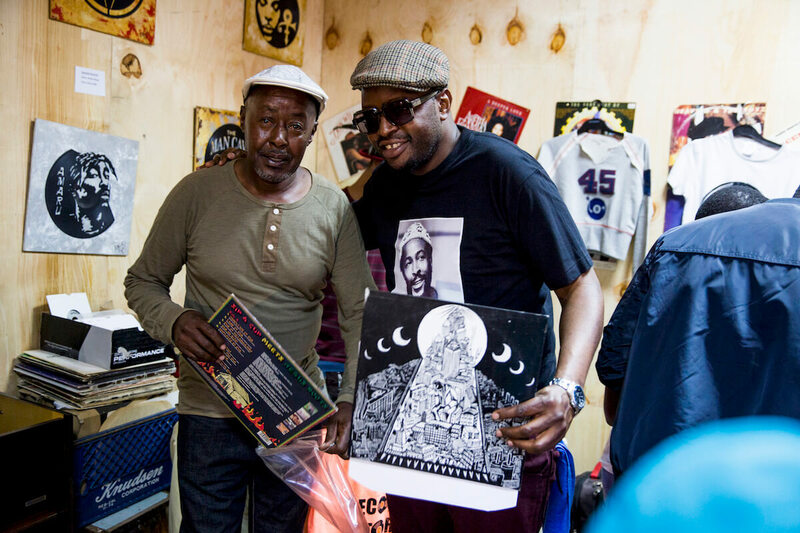 “This is the first time that Record Store Day is celebrated in East Africa” says Jimmy, who first heard about it through his son. 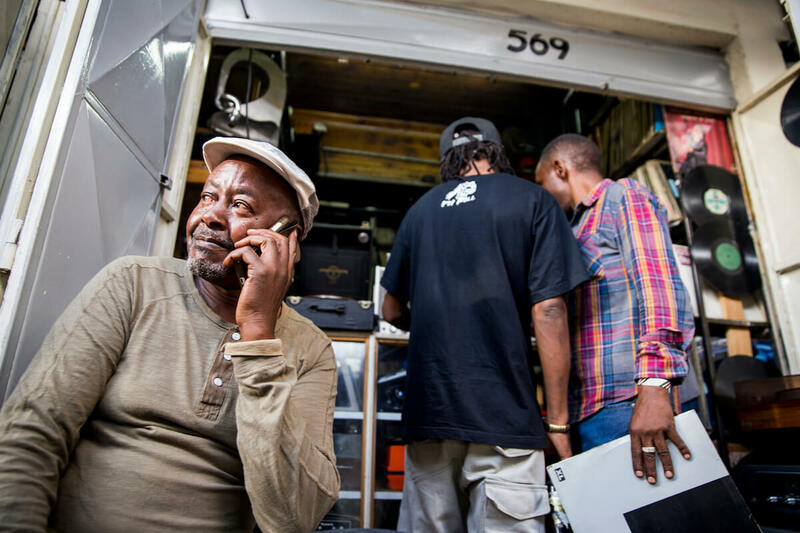 Both he and Jimmy’s daughter helped organize the party and were with their father on the day. 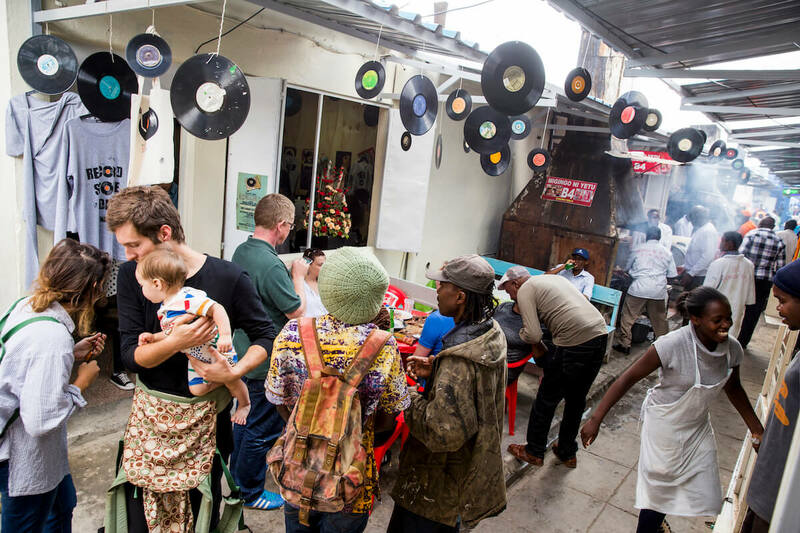 The party also served as the official opening of the new section of the shop, just a few doors down from the original stall, which will cater to Jimmy’s growing clientele. 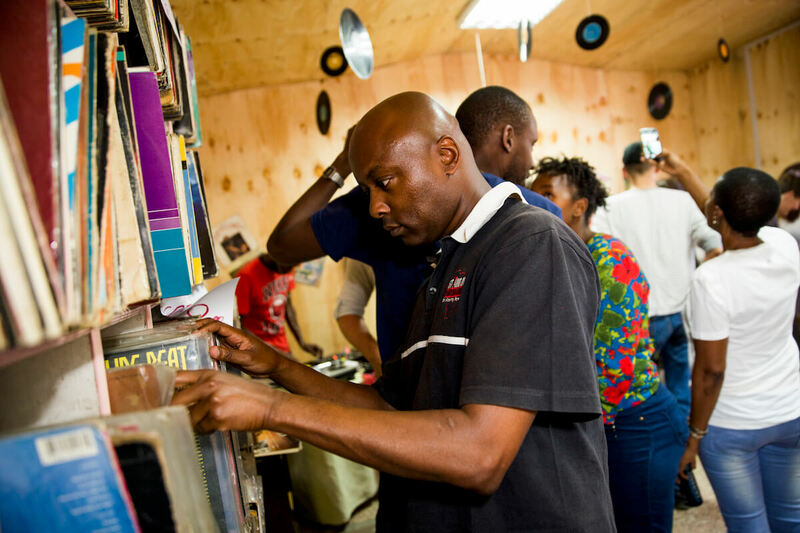 “Thing are changing so fast, so many people are getting into vinyl. 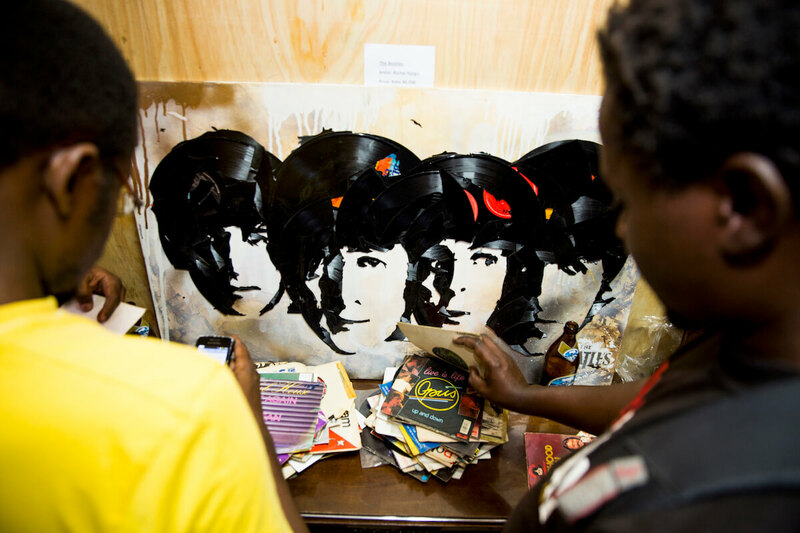 There is no comparison to a few years ago” says Jimmy. 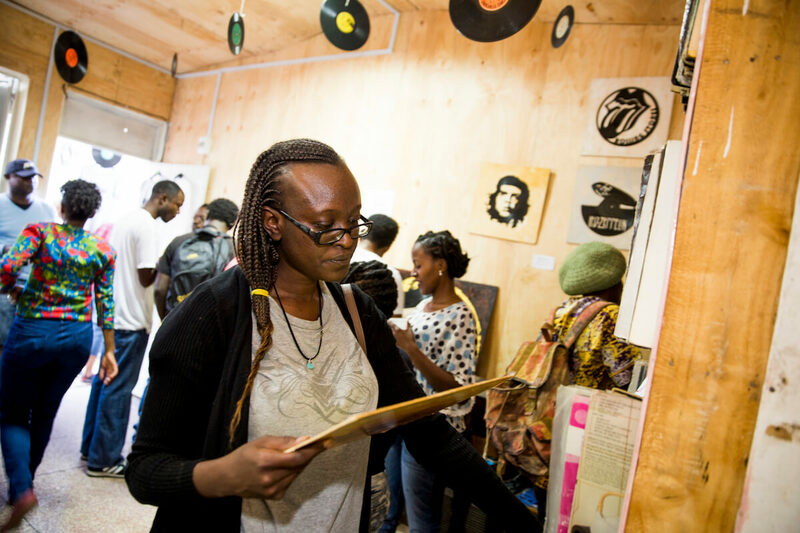 Just a few weeks ago the dark room was packed with broken machinery and bits of scrap metal. 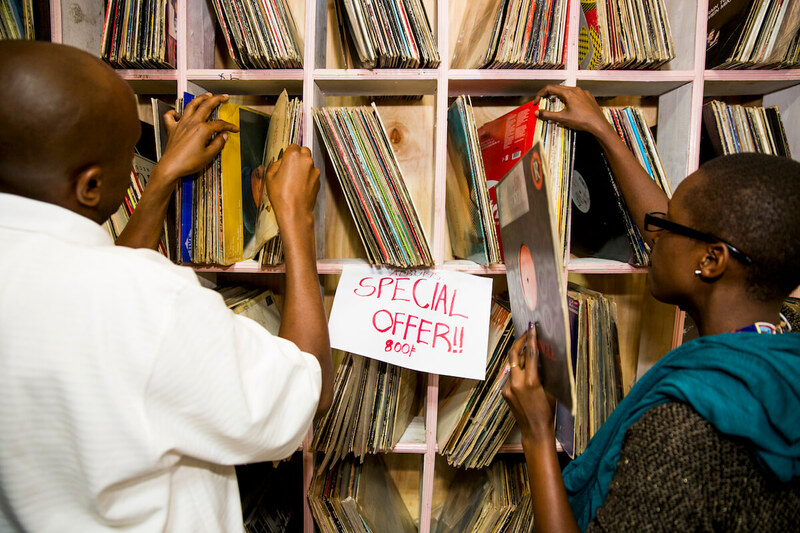 But by Saturday the butchers equipment and broken fridges had been removed, and the walls had been covered with wood paneling and hung with vinyl art and an eclectic mix of record sleeves. 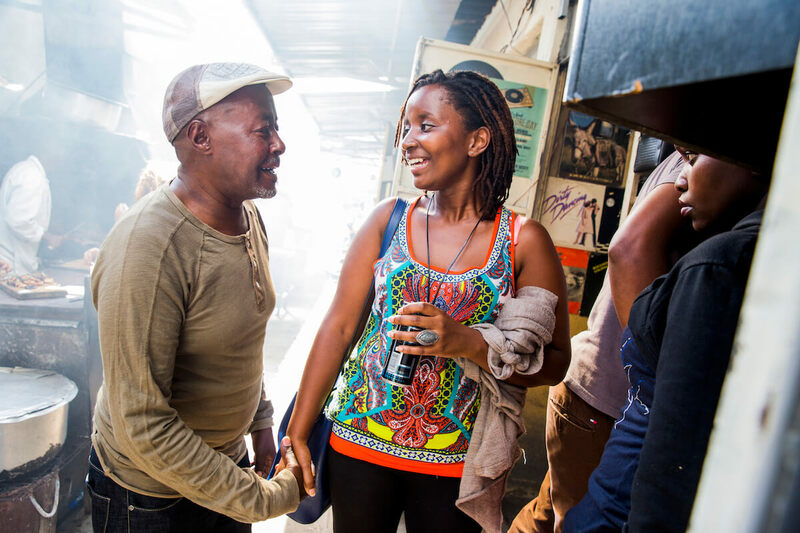 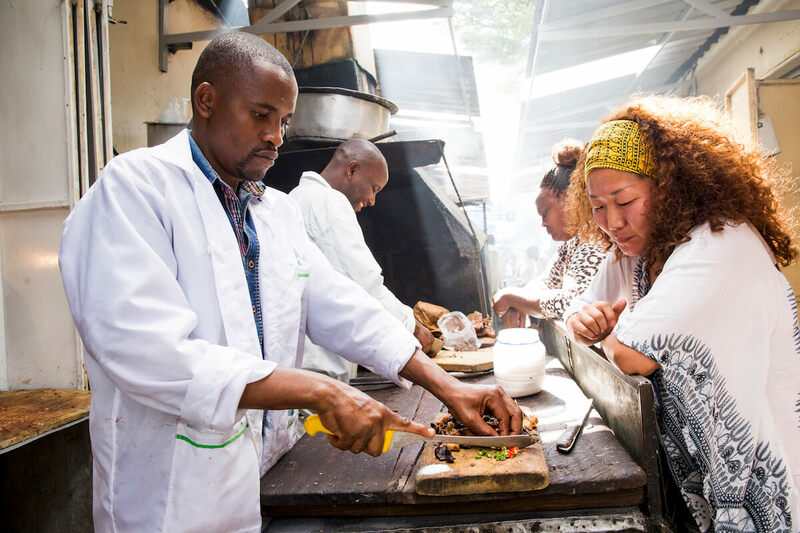 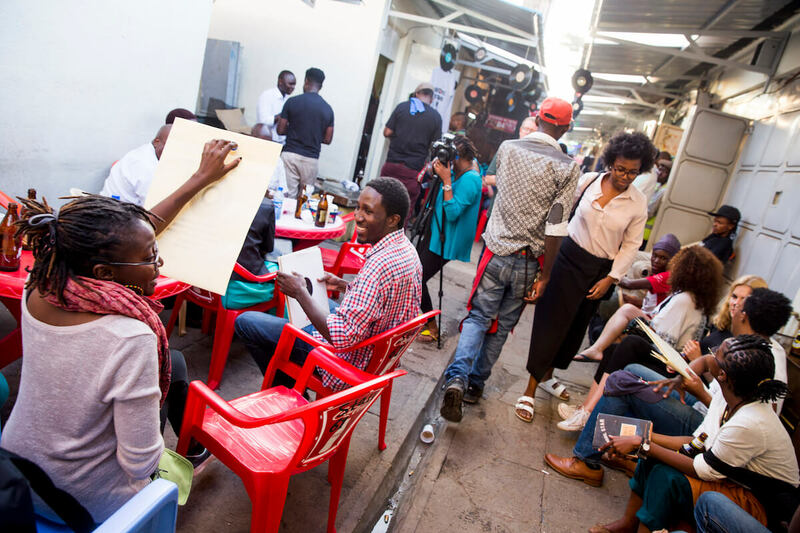 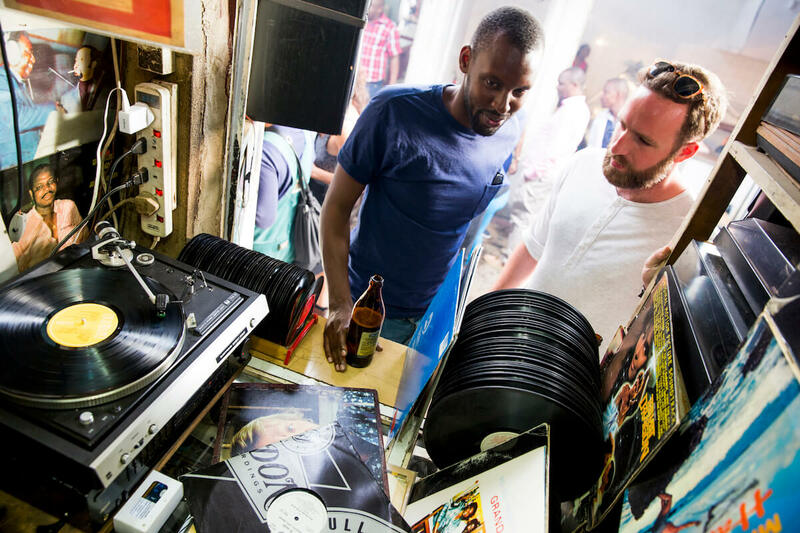 Throughout the day various DJs took to the turntables, spinning anything from old-school hip-hop to northern soul and 70s Kenyan funk, as people spilled out onto the alleyway and feasted on roast goat, chicken and ugali. 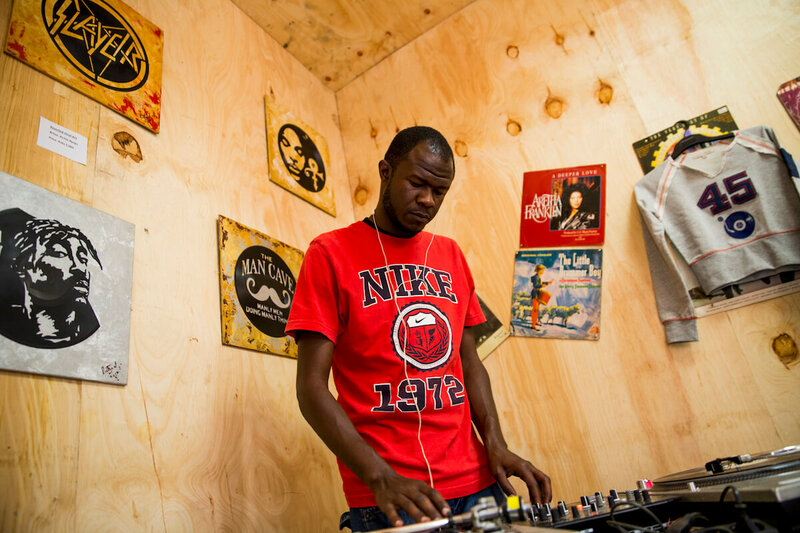 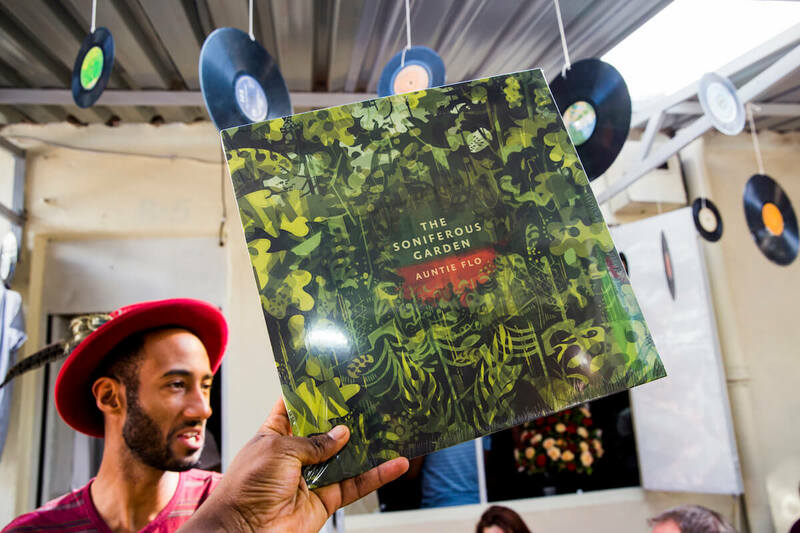 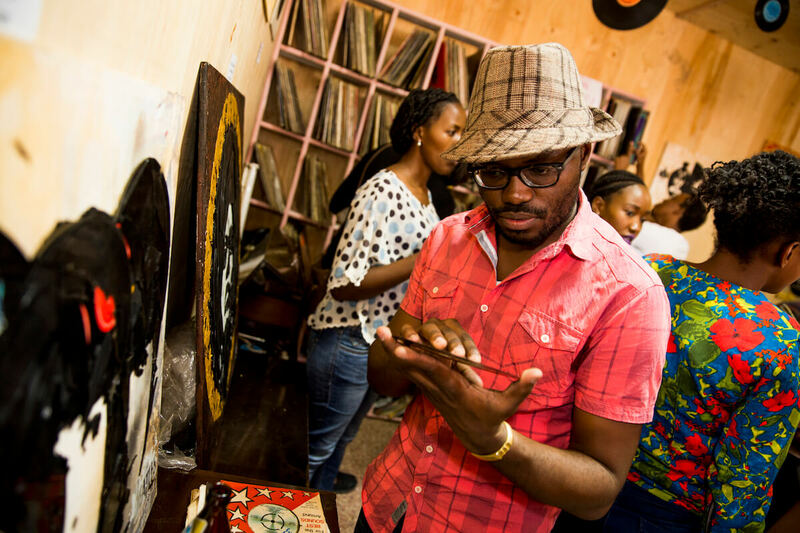 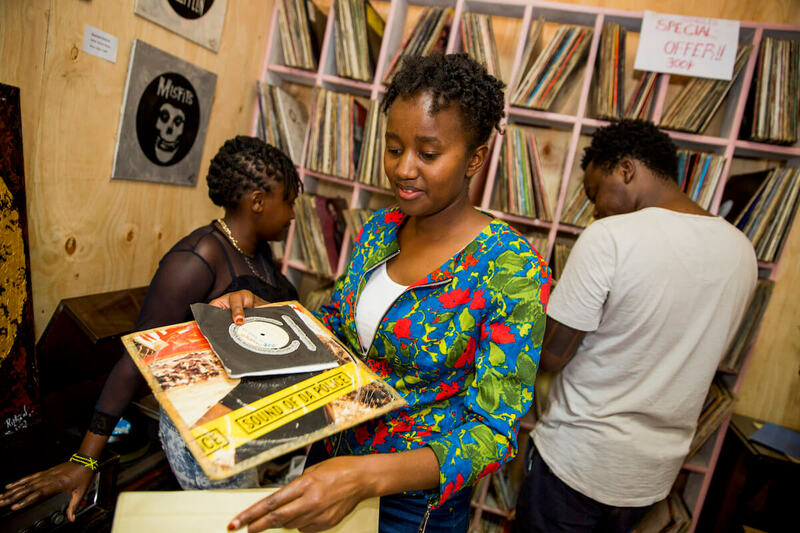 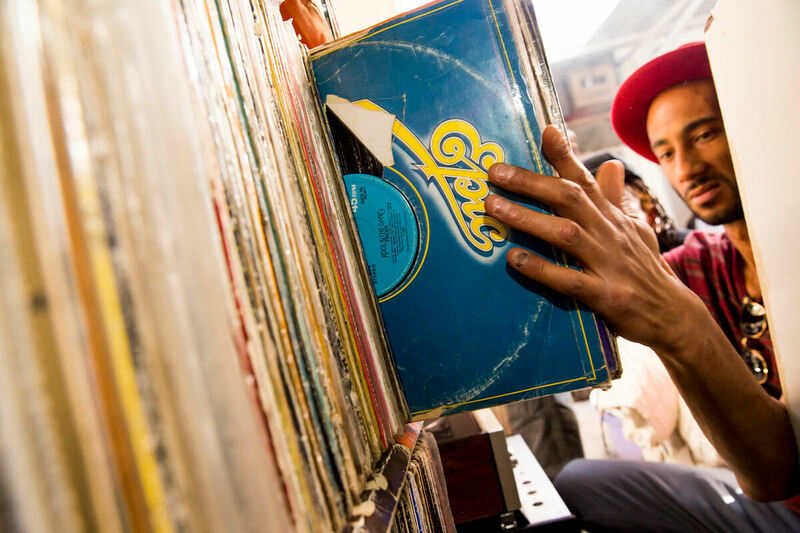 “The turnout was truly overwhelming” said Samuel Ombasa, aka DJ Samthadigga, one of the organizers of Crate Society, a monthly gathering of music and vinyl lovers. 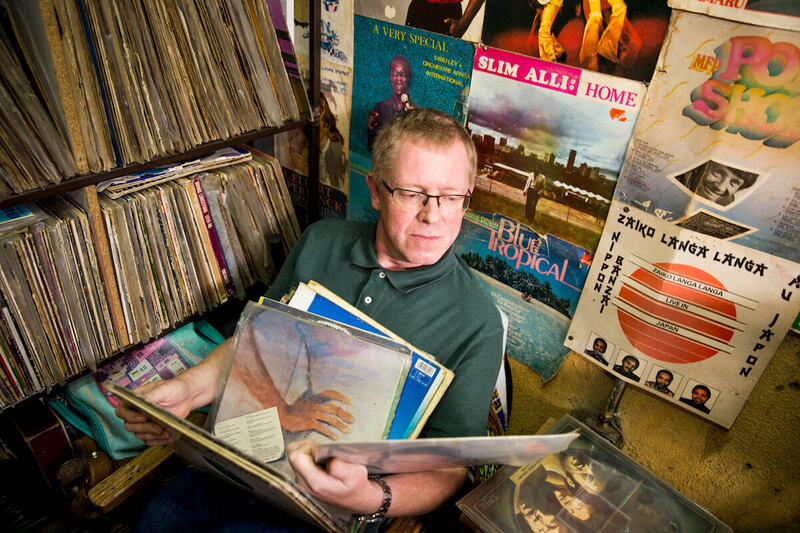 Despite the store’s growing popularity, Jimmy’s place remains the perfect example of what Record Store Day started out to celebrate: independent record stores, and the community they foster.